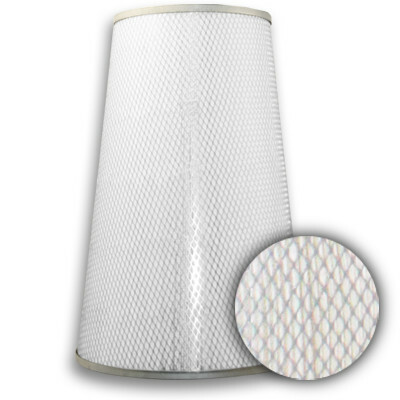 13" - 18" O.D x 26" H Spiral-Flo 80/20 Polyester/Cellulose Conical for GDX & GDS w/Stainless Liner No End Cap | Air Filters, Inc.
Air Filters, Incorporated™ Spiral-Flo™ Cartridge MERV 13 80/20 polyester/cellulose retrofit replacement for Conical Cartridges for Donaldson GDX (Pulsed) and GDS-I (Static) Systems offer a convenient alternative when replacement of the original cartridge is necessary. Cartridges are constructed with a one piece molded gasket with expanded stainless steel inner and outer wraps around both the inside and outside of the filter with no end caps. 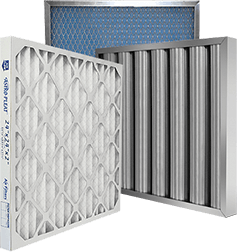 A spiral glue bead around the outside ensures pleat 80/20 polyester/cellulose locking to add security to the filter in critical conditions.